This Felt Monoprint Card and Case gives you a fun new way to put your reinkers to use. Create gorgeous original monoprints for your card fronts and for the box front! What a great project to do with kids! This set includes a set of eight original cards, a box to hold the cards and a gift tag if you choose to gift the set to a friend. You an even invite a class to do felt monoprinting and let the creativity run wild!!! 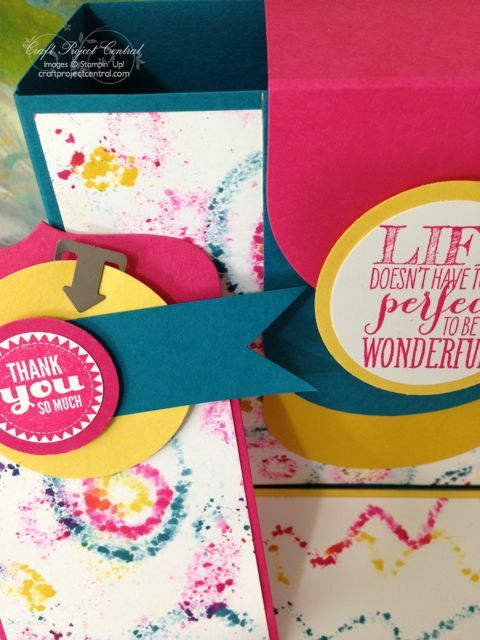 This colorful project was designed by Michelle! If you have a chance, please head on over to Craft Project Central and leave Michelle a comment on her project.